On Wednesday, Dec. 2, we held our fifth annual State of the County Address. Every year, this event continues to grow and gives us a great opportunity to talk about Macomb County. If you attended, thank you for doing so. Your support means a lot. If you were unable to make it, let me provide you with a recap of what we talked about. One of the first things I wanted to focus on in the State of the County Address was President Barack Obama’s visit to Macomb Community College. I was proud that the 44th President of the United States came here. He could have gone anywhere in the world, but instead, he visited a local college of ours to talk about opportunity and promise. That’s a big deal. While here, President Obama said “everybody deserves a chance to make it,” and that is how I like to see Macomb County, as a place where everybody can make it. The foundation of our progress is people like you. We remain one of the fastest growing counties in the state, and that is bringing many other benefits. Our core urban communities are witnessing an influx of new residents, anchored by young families and first-time home buyers. Our central and northern communities are emerging as destinations for families looking for high value suburban living. More of our seniors are choosing to age in place, rather than heading off to traditional retirement destinations. There have also been great gains in housing and diversity. These gains have led to positive trends in income, workforce and educational attainment. This trend validates the incredible work and commitment of people all around this great county. We’ve really been focusing on improving the county’s economic base. Our main goals have been to strengthen our core industries such as automotive, advanced manufacturing, defense and aerospace. We are also leveraging technology and innovation to expand capabilities, stimulating entrepreneurship and investing in workforce development. We are constantly striving to reach these goals and so far have found success in each of these endeavors. In my speech, I also spoke about what our county departments have achieved. There is an article in this newsletter that further highlights those accomplishments. It is important for me to recognize our county departments for their contributions as these are the individuals working every day to provide the very best services to Macomb County’s 870,000 residents. We continue to develop and upgrade our parks and trails; there are new and expanded races and festivals; orchards have become wineries; small town downtowns have become more walkable; outdoor entertainment and fireworks fill our summer nights; and indoor shopping, dining, sports and viewing have never offered more variety in Macomb County than they do today. Macomb County has never been in better shape. We are a county that is blessed with new residents, new ideas and new opportunities. We are a county that is gaining influence in the region and in the state, and people everywhere are beginning to notice what Macomb now has to offer. Have a great holiday season everyone! See you in 2016! Macomb County departments have done a lot of great things in 2015. Each completed item has helped the county in some way; whether it allowed county operations to run more smoothly or provided better services to Macomb County residents, no task was unimportant. Here is a list of some of the department highlights for 2015. This list is not exhaustive, but it can provide you with a good idea of the value Macomb County government provides to its constituents. The department continues to focus on pretrial programming. This assesses the risk and needs of those recently arrested with an evidence-based assessment tool. With the same amount of staff, the department increased the number of pretrial assessments completed by 35 percent in 2015. In 2015, Community Corrections provided substance abuse treatment to 750 individuals involved in the criminal justice system with the goal of addressing the reason behind criminal activity. Despite delays in federal funding, DOR was able to complete the widening of Hayes Road from 21 Mile to 23 Mile roads and is near completion on the widening project on Metropolitan Parkway from Groesbeck to Gratiot. Six bridge replacements throughout the county were also completed, along with the $2 million project to replace the 32 Mile Bridge in Armada and Ray townships to begin this spring. This year, DOR saw the highest approval of new plans for residential and commercial developments since 2007. DOR has continued to develop our trail system. Construction has been completed on the Mount Clemens Bike Path along Gratiot and the Clinton River as well as a segment of the Iron Belle Trail extension through Riverbends Park in the Shelby/Utica area. Plans have been completed to extend a hike/bike path along North River Road to MacRay Harbor in Harrison Township. Gov Delivery notifications through the DOR website started in July 2015 to alert drivers of any traffic lane and road closure incidents on Macomb County’s major arterial roadway network. The subscription experienced a 200 percent increase from its start in July. The information is now posted on Twitter @MacombNewsNow. The department is converting the final 120 Macomb County-owned traffic signals from incandescent bulbs to LEDs, resulting in a roughly 90 percent reduction in power consumption and ongoing maintenance costs such as proactive bulb replacement. Completed in 2015, The TOC strengthened and included redundancy in the communications network of traffic signals and traffic cameras. Macomb County is currently the most-connected county in terms of the traffic operations network in the state of Michigan. New this year, as a stakeholder of the state, TOC has tapped into the Michigan Department of Transportation’s Regional Integrated Transportation Information System which provides real-time traffic flow on Macomb County arterials. With this data, TOC has conducted two test deployments of real-time traffic sensing units around one of Macomb County’s busiest intersections – Mound at Metro Parkway – to detect and react to incidents for enhanced safety and public information. This year, the TOC partnered with all constituent townships and cities on various projects. Some examples are: guardrail projects in eight communities with a cost of $230,000, traffic signal improvement initiatives to increase safety and enhance efficiency in almost all partner communities, and installed pavement markings – 7.5 million feet of roadway lines, applying 28,000 gallons of paint. TOC received the ITE International Transportation Achievement Award for Facilities. In October 2015, the capabilities and accomplishments of COMTEC were presented to an international audience at the ITS World Congress in Bordeaux, France. TOC accomplishments were also presented at the Regional Institute of Transportation Engineers in Grand Rapids. Expanded Women, Infants and Children (WIC) and Family Planning services at Thompson Community Center. In 2015, the Health Department expanded the Special Supplemental Nutrition Program for WIC and Family Planning services into the Max Thompson Community Center in Warren. In the first 10 months, over 3,800 residents received WIC and Family Planning services at this family resource center. In 2015, through grant resources, the Health Department created a Community Outreach Program that now employs four staff: a social worker and three community health workers. The staff help connect residents to important resources that can increase their health and wellbeing. The Health Department upgraded the capabilities of our electronic health record to include the ability to send prescriptions to pharmacies and transmit laboratory results electronically. The Health Department was the first local health department in southeast Michigan to successfully implement real-time transmission of immunization data from an electronic health record to the state’s electronic Immunization Registry. The Health Department’s Household Hazardous Waste Program collaborated with 10 local neighborhood pharmacies to provide collection receptacles in their stores. As a result, in 2015, over 3,000 pounds of unwanted pharmaceuticals and personal care products were collected. Through grant support from the state in 2015, the Health Department partnered with many community, health care, business and municipal organizations to promote and facilitate physical activity and reduce obesity and chronic disease (heart disease and diabetes) in Warren, Eastpointe and Roseville. Through the leadership of the Health Department, the Macomb County Oral Health Coalition was formed and convened community partners to collectively enhance residents’ access to dental services and oral health education in schools and community sites. In 2015, the partners held eight community infant safety events throughout the county, reaching almost 300 expectant mothers, fathers and their families. Throughout 2014 and 2015, many Macomb County partners assisted in the enrollment of approximately 70,000 Macomb County residents into health insurance via the federal marketplace and the state’s Healthy Michigan Plan. The percent of uninsured Macomb County residents fell from 15 percent to less than 10 percent of the county’s population. This year, the Health Department also received two National Association of Counties Achievement Awards. One was for their Child Passenger Safety Partnership in Ethnic Communities initiative and the second for the Youth Emergency Preparedness Outreach Initiative in schools. Expanded the Head Start program and assisted in the establishment of additional child care facilities throughout the county. Enhanced Meals on Wheels services. On Aug. 17, Meals on Wheels became available countywide within 24 hours of a request. Additionally, the Meals on Wheels program saw an increase of 8 percent in the average daily number of meals (120) delivered each day from October 2014 to September 2015. Developed refugee outreach programs. MSUE coordinated a field trip to the Thompson Community Center for refugees served by the Chaldean American Ladies of Charity. These individuals have been enrolled in an MSUE nutrition education series, and this field trip provided an excellent opportunity for them to learn about the services available at the Thompson Community Center as they toured the building. Established the first 4-H summer enrichment camp at the Thompson Community Center. The two week 4-H summer camp had a healthy living focus and offered hands-on lessons about fitness, nutrition and personal safety. Received recognition for financial homeownership education efforts. In 2015, the MSUE Financial Homeownership Education Team was recognized and presented with a Key Partner Team Award from MSUE. This recognized the team for how they responded to the housing crisis. Two MSUE advanced master gardeners were honored with the 2015 President’s Award from Keeping Michigan Beautiful for the establishment of the April Milsap Memorial Garden in Armada. Executive Director John Bierbusse received the Ralph Loeschner Outstanding Services Award. The award recognizes individuals who are an outstanding promoter of Michigan Works! Macomb/St. Clair Michigan Works! and Macomb Community College partnered for Michigan Works! staff to provide employability skills training with their CNC Machining and multi-skilled technician programs. Stant Corporation in Romeo participated in a worker orientation in October 2015 as a result of their imminent closing. Michigan Works! case managers worked with the company and set up two job fairs so the 160 displaced employees could talk to local companies with relevant needs. Received a grant from the Office of Economic Adjustment, Department of Defense to operate a Defense Workers Transition Center. This is a two-year project. The grant will total about $6.75 million. In Macomb County specifically, the funding will benefit cross-sector industries that support defense and other industries in the enhancement of robotics, automated systems and connected vehicle technologies, as well as cybersecurity-related projects. MacombBusiness.com has been refreshed based on feedback received from two external reviews of the site. The result is a more user-friendly and attractive site. Just added is a blog feature that enables us to keep our audience informed of staff happenings and important economic development news. Forty-three host sites welcomed 1,772 students from all of Macomb County's 28 public high schools on Manufacturing Day 2015. Approximately 40 potential investors attended the Mount Clemens Investment Tour, a collaborative effort that we co-hosted with the city of Mount Clemens and its DDA.  The third annual Macomb County Business Awards were held for a crowd of nearly 400. Brand standards for the Make Macomb Your Home campaign have been adopted. The department hosted consulate generals from nearly 15 countries at a luncheon forum. The department highlighted prime development properties with a familiarization bus tour for the Michigan Economic Development Corporation. The department brought business executives to Cleveland to meet with business consultants in order to provide a firsthand account of the benefits of locating a business in Macomb. The department has worked on 18 business development projects worth close to $160 million in investments – 1,000 jobs created and 4,000 jobs retained. Macomb County takes the lead in obtaining a U.S. Office of Economic Adjustment $6 million defense grant. The department was instrumental in a partnership with the city of Utica, the Michigan Department of Environmental Quality and General Sports & Entertainment to bring a professional baseball park to downtown Utica. Construction is currently underway. 2015 was a year focused on arts, culture and community. I had the honor of convening a group of passionate female business leaders to create the Red Hot Macomb Committee. On a cold day in February, we painted Partridge Creek red to support the American Heart Association. It was a fabulous event raising over $10,000 and, this year, we are planning something else unique to raise funds to support our community. This past April, I accompanied a group on a trip to China. Traveling to another country so different from mine is an experience I’ll never forget. I met new friends, learned so much about China and am grateful to my alma mater, https://mmyh.wordpress.com/2015/04/30/assistant-county-executive-represents-macomb-county-in-china/. An invitation to the White House is always an exciting experience, and this year was no exception. The White House Building Welcoming Communities Convening provided an invaluable opportunity to learn more about race, culture and welcoming work done by communities all over the United States. Through the efforts of OneMacomb, an Arts and Culture Committee (OMACC) was created with over 40 organizations including arts- and culture-related businesses, boards and committees. OMACC also includes academic and government organizations all located both locally and regionally. Previously, Macomb County did not have a central point for sharing information about art and cultural events nor did it have a forum for collaboration. This year, we hosted an international film festival and partnered with the Secret Society of Twisted Storytellers at the Charles Wright Museum on a welcoming-themed storytelling event called “It’s A Trip,” guest starring Macomb County’s own Steve Gold, director of Health and Community Services. OneMacomb collaborated with our educational sectors by working on furthering our cultural understanding and celebration. As an example, we hosted our Naturalization Ceremony at Macomb Community College in the Lorenzo Cultural Center where 87 new Americans from 32 different countries became new citizens. We also partnered on a day-long diversity summit, where all Macomb County high schools were invited to participate at the event, held at Macomb Community College’s south campus. Additionally, we partnered with the International Academy of Macomb where their high school students attended a premier screening of the film called Ellis. Ellis tells the forgotten story of the immigrants who built America. OneMacomb was invited to highlight our current day immigration story in Macomb County. We created the Bobby Hill Welcoming Center, aka Bobby’s Lobby, by remodeling the lobby area of the Macomb County Administration Building, generating a more welcoming environment named after the late Bobby Hill, former public servant and community leader. A committee led by the Ministerial Alliance and key leaders raised funds to memorialize Bobby Hill’s legacy, and a bronze relief was placed in the welcoming center in his honor. The welcoming center is for Macomb County residents and employees to use, relax and host meetings and events. OneMacomb continued to build community relationships with our ethnic, faith-based and economic community leaders. We worked together on cultural communications and events such as partnering with our Planning and Economic Development Department to host our first Michigan Consulates luncheon where 24 different countries attended. We also participated in a Thanksgiving celebration of the American values of freedom, diversity and unity. The event was organized by several community organizations and leaders including: Welcoming Michigan, Interfaith Center for Racial Justice, InterFaith Leadership Council and the City of Sterling Heights Ethnic Community Committee. OneMacomb worked internally with our Human Resources and Labor Relations Department to provide cultural training and educational opportunities for our 2,400 employees. For example, we implemented a quarterly Lunch and Learn series focusing on ethnicities. In 2016, we will partner with Macomb Community College to offer our employees an opportunity to grow their knowledge, sensitivity and skills in cross-cultural interactions by working toward obtaining a Cultural Competency Certificate (C3) through their new C3 Program. You and your organization can partner with the college too. With the help of our Health and Community Services, OneMacomb is placing multi-lingual signage on and inside our facilities and also providing video remote interpreting so people can walk in and have live, skype-like assistance in dealing with English-speaking service providers. What’s in store for 2016? We’re planning another exciting Red Hot Macomb event and will continue to provide avenues of unique and exciting opportunities which support our community and residents. OneMacomb will create a strategic plan to help define our mission, vision and goals. OMACC will collaborate to work on new events with the goal of heightening awareness of arts and culture. OneMacomb will continue to provide opportunities to learn about arts and culture as well as embrace, share and celebrate the diversity and uniqueness that strengthens the fabric of our community. Thanks for supporting our work in making our community a more welcoming place for all who Make Macomb their Home. Best wishes for a happy, healthy and prosperous New Year. On Dec. 1, Macomb Community Action (MCA) recognized customers, volunteers, employees and a partner organization for their unique contributions to diminish poverty and promote independence in Macomb County. The awards reception at University Center on the campus of Macomb Community College honored several recipients who demonstrate the good things that are happening in Macomb County. Jan. 29, 2015 was a cold and snowy day. Kurt Strevel, a Meals on Wheels volunteer from Roseville, was delivering his usual route when his truck overheated and stopped running. Strevel had only delivered half of his meals. It would have been easy to find a warm restaurant and wait for a tow. No one would have blamed him. Instead, Strevel walked four and a half miles to deliver the last five meals on foot, even calling each customer to say he would be late. He also called the main office to apologize for not returning the insulated food bags. Strevel has volunteered for Meals on Wheels since 2011, logging in approximately 250 hours. He frequently accepts substitutes for absent drivers. Jean Hitchcock of Clinton Township was nominated for the Customer Recognition Award by Nicole Urban of Macomb Community Action for her participation in the program called Healthy Eating for Successful Living in Older Adults. It was there that she learned how to read labels and dietary guidelines. 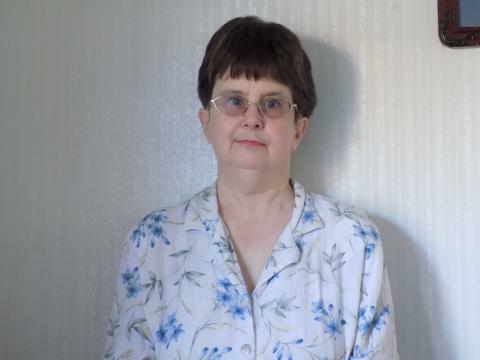 Since completing the program, Hitchcock has seen a significant improvement to her own health by putting into practice the skills she’s learned. Hitchcock now plans ahead when eating out and follows a healthy diet, even when others in her household do not. Mary Kujawa of Warren also received the Customer Recognition Award. She was nominated by Macomb Community Action employees Brittany Mohr and Cathy Carley. Kujawa received help from the South Action Center in Warren for utility assistance. 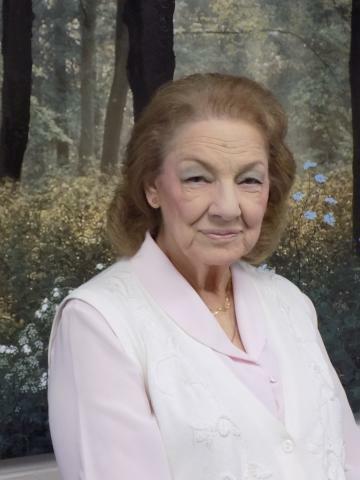 The South Action Center used many resources to assist her, which resulted in her being able to remain in her home and remain self-sufficient at the age of 86. Teresa Parker was nominated for the Employee Recognition Award by Cathy Carley of Macomb Community Services. Parker has been a Macomb County employee for over 20 years and has worked at the South Action Center in Warren for the last 10 years. During tax season, most clients ask for Parker, a testament to her 10 years of solid relationship building at South Action Center. “She has a unique way of bringing every resource available to their attention while encouraging action, which will ultimately lead to self-sufficiency, a goal of our agency,” said Carley. She is an excellent listener and goes above and beyond in finding other resources on behalf of clients. 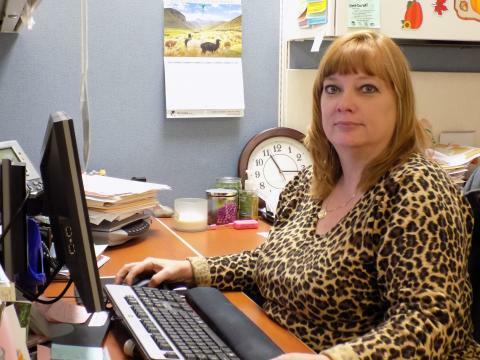 Teresa Parker is synonymous with the South Action Center. Macomb Community Action employees Kristin Deceuninck and Nancy Brisky nominated Velma Polk of Clinton Township for the Volunteer Recognition Award. Polk volunteered to assist with the Eligibility, Recruitment, Selection, Enrollment and Attendance (ERSEA) process for Head Start. “Her warm smile was a special asset on application days when she greeted families with children,” said Deceuninck. Polk instituted a new process that streamlined the intake of clients, co-managed the callback list for clients scheduling and assisted with the assembly of enrollment files, which allowed the ERSEA specialist to focus on getting over 1,000 children placed in our Early Head Start and Head Start classrooms. When the school year started, Polk continued to volunteer by helping the teachers prepare their classrooms. With the amount of work that Polk donated with her volunteer efforts, one needs to be reminded that this amazing woman is a volunteer. Chanda Parman’s volunteer activities are wide and deep. She has volunteered with Meals on Wheels since 2008 and is a volunteer master trainer and coach for the evidence-based program Healthy Eating for Successful Living in Older Adults. Without Parman’s efforts with the Healthy Eating program, it would not be the program it is today. Parman has led four different class sessions (two-and-a-half-hour classes for six weeks) and has trained new Healthy Eating coaches which enable the agency to continue offering the class. The Salvation Army in Mount Clemens has been a fixture in the community for many years. Salvation Army partners with the Central Action Center to leverage dollars to assist families in crisis and when a client does not meet MCA’s eligibility criteria or vice versa. Salvation Army’s Pathways to Independence Program, which provides clients with case managers who specifically address barriers to a family’s independence. The Salvation Army assists folks with emergency needs such as utility shutoffs, eviction assistance and shelter. The Salvation Army bridges the gap where Macomb Community Action cannot, and vice versa. Stephen N. Cassin, director of the Macomb County Department of Planning & Economic Development for the past 14 years, will retire in early 2016. Hired in 2002 after working for Clinton Township for 24 years, Cassin has been an agent of change and accomplishment in Macomb County. When Cassin first began working for the county, the department was primarily focused on planning issues. The extent of services available to help businesses succeed were mainly through a special partnership with the Michigan Small Business Development Center. While the program helped many entrepreneurs start some of today’s successful businesses, there was little in place to help larger companies overcome barriers and virtually no plan in place to attract new businesses to the county. Today, Macomb County’s business development team helps businesses of all types and size achieve their goals. Oversaw the activities that led to the development of the 24-mile Macomb Orchard Trail. Responsible for creating and coordinating the formation of "Focus Macomb," an economic development action group comprised of more than 100 community leaders that examined issues surrounding transportation, education, government and human services. Along with Al Lorenzo, then-president of Macomb Community College, recruited a powerful committee of hospital CEOs, doctors and educators who convinced Michigan State University that the Macomb’s University Center was the ideal location for MSU’s satellite medical school campus. Joined a delegation to Washington D.C. where he asked federal representatives to help find funds to start a business incubator in Macomb County. The result was the formation of the Macomb-Oakland University Incubator. Worked with officials from Sterling Heights to turn a vacant training/day care center to Velocity, a center for economic collaboration. Today this building provides important resources for area businesses including the Macomb-OU INCubator, the International Landing Zone, the Michigan Defense Center, Michigan Small Business Development Center. Worked closely with Utica officials to attract a sports and entertainment investor to the city. As such, the new Jimmy John's Field will house the independent United Shore Professional Baseball League, which will host its first opening day in the spring of 2016. When the Macomb County Library was closed, Cassin worked hard to place the Library for the Blind and Physically Handicapped at a new home with the Clinton-Macomb Public Library. Tapped special funds through the U.S. Department of Housing and Urban Development to make the downtown Mount Clemens campus of Oakland University possible. Instrumental in the decision to move the Michigan Defense Center from Lansing to its home at Velocity. Cassin earned a bachelor’s degree in urban planning from Michigan State University and a master’s degree in public administration from Oakland University. He currently serves on the board of directors for Automation Alley, the Greater Detroit Foreign Trade Zone Board and the Macomb-Oakland University Incubator. He was appointed to the Michigan Finance Authority by former Gov. Jennifer Granholm. He is a past president of the Michigan Society of Planners and an adjunct instructor at Oakland University. Cassin received the Automation Alley Member of the Year Award in 2009 and is the 2013 recipient of the Michigan Association of Planning President’s Award. "I leave this department in very good hands. I am proud of our staff's devotion to excellence. Any success I may be credited with is due to the hard work of everyone here,” said Cassin. The Department of Planning and Economic Development has launched a new business blog on its website www.MacombBusiness.com. Featuring economic news and trends in the county, the blog will draw on the expertise of staff as well as business and community partners. Updated a few times weekly, the blog will provide readers with an inside look at economic development in Macomb County, the factors affecting it and the impact it is having on the county’s economy and quality of life. The blog fits the suite of information found on MacombBusiness.com detailing services the department offers to the public. There, visitors can find information about locating, starting or growing their business in Macomb County and the resources available through the department and its partners to aide in economic development. The new blog complements the existing Make Macomb Your Home Blog, launched in 2013. Since its debut, it has been one of the most in-demand features of the Make Macomb Your Home website.